Held via videoconference on Sunday, May 28th. Held in Vancouver, BC. During the Tea, Vancouver’s very own “Raging Grannies” sang and Audrey Siegl, an outspoken member of the Musqueam Nation, spoke on Carrying on the Work of my Ancestors: How to be Good Stewards of the Land. Audrey was passionate and eloquent. Held in Ottawa on May 17, to coincide with the CUC ACM. The event celebrated the five-year anniversary of the inaugural Toronto meeting of the CUUWA. Claudette Commanda spoke on Decolonizing Canada: A First Nation’s Perspective. “The challenges for First Nations women is embedded in the story of First Nations men, women and children: a story of colonization. Claudette Commanda will map out for us the route of colonization to a right relationship with the First People of Canada. She will share the history, the changing roles and challenges for both men and women of her people. She will discuss the journey toward decolonization for both Settlers and First Nations and in Canada; a journey towards mutual understanding and respect. The 2014 AGM was held via teleconference on Sunday June 1, 2014. Seventeen members joined the call, with 9 proxies, and 2 guests from 8 different locations. Women met in clusters, having tea, discussing issues or taking part in a ritual. 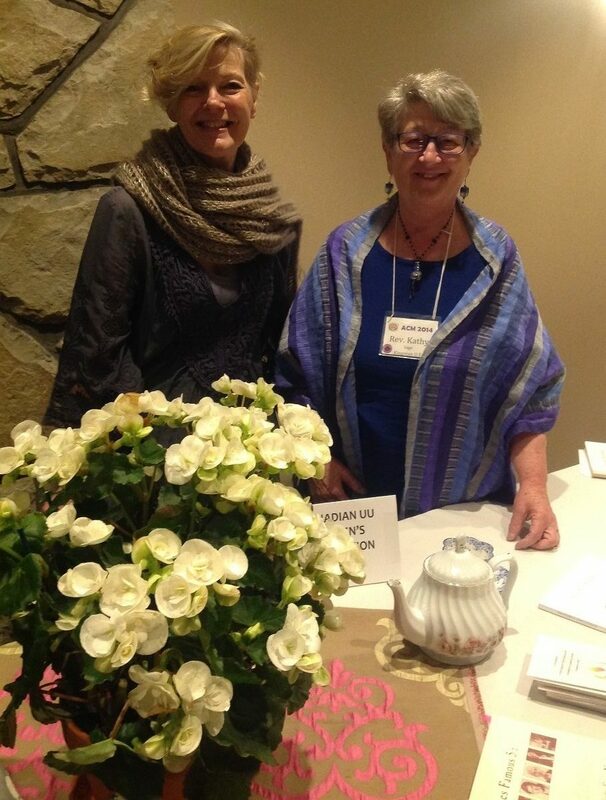 At the CUC ACM, the CUUWA presence was Kathy Sage and Caroline Montague. 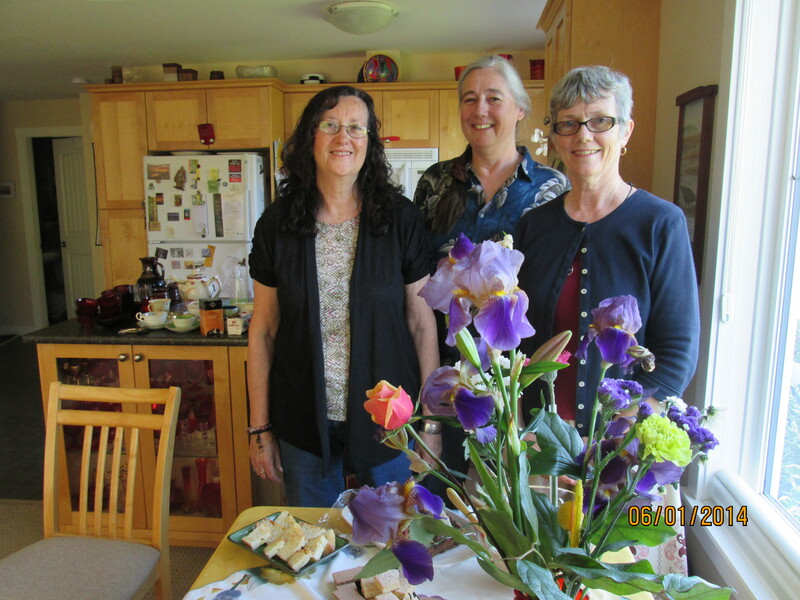 In the Comox Valley, after a lively discussion, the group enjoyed tea – served in genuine tea cups! Held in Calgary on Sunday, May 19th as part of the CUC ACM, the programme celebrated the Famous Five and contained the CUUWA AGM. Frances Wright of the Famous Five Foundation, guest speaker, and Carolyn Harley, Famous Five vocalist, provided information on the Women as Persons struggle; … and tea was served. Suffragettes once held pink teas to discuss their struggle for the vote without their (male) opponents finding out — anything as innocent and feminine as a pink tea couldn’t possibly be about politics! Held via teleconference on June 2nd.